Description: Simple Stories Collection Kissing Booth Paper 12 in. x 12 in. Crazy For You- Double sided cardstock. 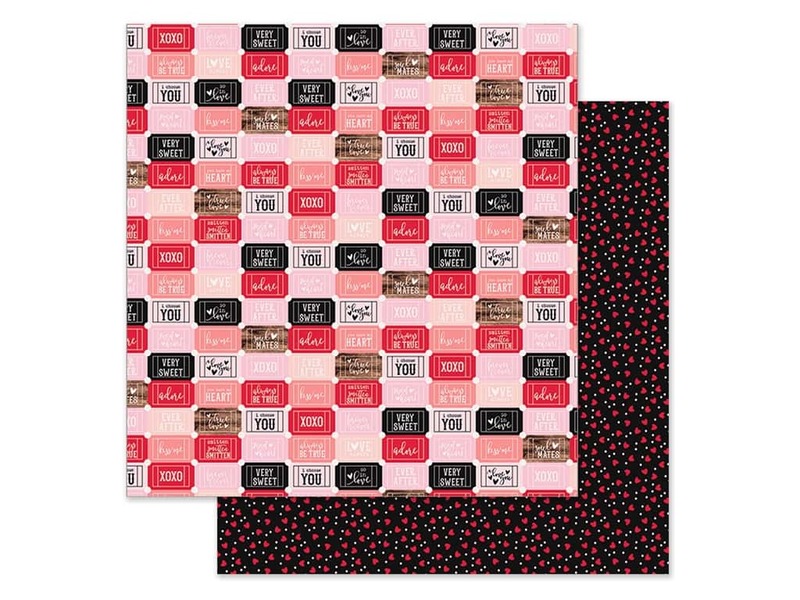 One side is white with rows of tickets in pink, coral, red, black, and woodgrain. Captions include: xoxo, very sweet, I choose you, so in love, ever after, adore, sweet heart, kiss me, always be true, and more. The reverse side is black with mini red hearts and pink dots. See more Simple Stories Kissing Booth Collection.